There may be situations when you want to allow other people to post on your WordPress blog but you may want to moderate or approve the posts before they are actually published and live on the blog. This WordPress guide will show how simple it is to do with just the built in WordPress options. 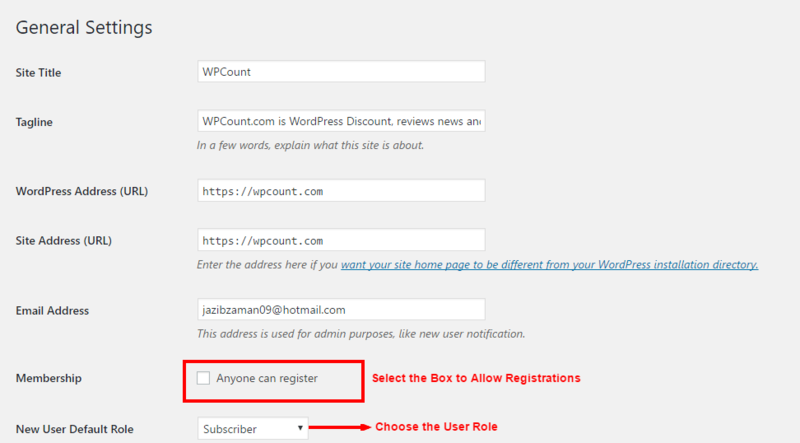 The first option to consider is if you want to allow people to register to use the blog on their own. Otherwise, you would need to add them manually and send them the login information. From the dashboard click Settings and the General sub panel will open first by default. If you want people to register on their own, next to Membership click the box next to Anyone can register. Now below that is a drop-down box to choose the type of role the new member on the blog will have. Administrator – Has access to all the administration features. Editor – Can publish posts, manage posts as well as manage other people’s posts, etc. Contributor – Can write and manage their posts but not publish post. Subscriber – Can read comments/comment/receive news letters, etc. If you want to approve each new post, choose the role of new users as a Contributor, this will allow them to write a post and submit it for approval by an administrator. This is what I recommend. If you want to allow the new users to publish a post without approval from an administrator then chose Editor as the new user’s default role. Not recommended unless you want a free for all on your blog! As the administrator, you will get an email notification with each new registered user but you will not get notified of any new posts that need to be moderated and approved. So it will be up to the administrator of the blog to check periodically for unpublished posts. To approve and publish posts by a Contributor click Posts Menu and click Edit next to the post that is Unpublished. Edit the post if needed and click publish.